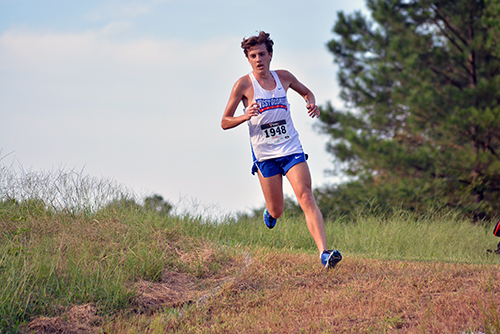 Dirt puffs up, sweat trickles down their sides, ribs expand to the point of pain; the UWG Cross Country Teams’ runners keep going. Coach Tim Brooks has coached cross-country at UWG since 2010 and as an alumnus of the University of West Georgia (UWG), he enjoys helping UWG achieve success in sports. “There is no other place I would rather be coaching than right here at UWG,” said Brooks. Though both the men’s and women’s teams have shorter rosters than past seasons, with only seven runners on each team, Brooks remains confident his runners. Though both teams seem to have grown as individuals and as a team, the competition from other schools proves stiff. According to Brooks, the Gulf Conference has added many formidable programs in the past five years, such as Shorter University, Lee University, Mississippi College and Union University. International athletes appear to make up a large percentage of the rosters of larger programs, another competitive factor to consider. 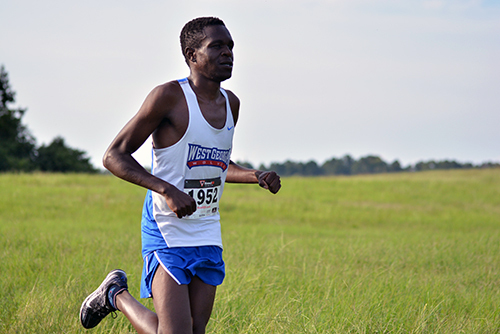 Kirwa, an international student from Kenya, appreciates all the resources that UWG Cross Country has to offer him. This includes the opportunity to learn about different cultures, to progress in his sport and of course, his athletic scholarship. Kirwa is a sophomore majoring in information management, and he plans to spend the duration of his undergraduate college experience running for UWG. One idea that both Kirwa and Brooks agree on is that a larger roster would help the team. The way the scoring system works within cross country, the top five runners on a team score and the sixth and seventh might force the competition to gain points. Ideally, a team wants the lowest score to win a meet. 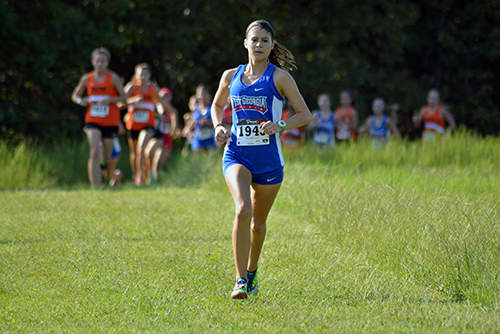 With a small roster like UWG’s, every runner must compete for every event, or the team might not even receive a score. Kirwa is dealing with a calf injury, and he is not the only one under strain. Luckily, for UWG Cross Country, only one of their seniors is graduating soon, and recruitment looks promising for next season.